PrepperShowsUSA is the #1 resource for survivalist shows, self-reliance shows, and prepper shows across the United States. Find complete and accurate information about upcoming prepper show dates/schedules, show locations, venues, ticket pricing, promoter and exhibitor information and much more. Please scroll down the page to view US prepper show listings by event name, date and location. Notice: Show dates, times and locations are subject to change without notification. Please call the event promoter before going to any show. Accuracy is the responsibility of the event promoter. PrepperShowsUSA is the #1 resource for prepper, survivalist and self-reliance show information across the United States. Prepper Shows USA is the premiere site for listing shows, expos and events related to emergency preparedness, and disaster survival. We are not show organizers or promoters ourselves, but rather we are a hub of information on prepping and survival events. We invite anyone hosting an event related to emergency education, disaster preparation, preparedness training, and survival supplies to list their event here FREE. If you have questions about the site or are interested in advertising, please email info@preppershowsusa.com. You remember the fable of the grasshopper and the ant, right? The ant works hard and saves up food and supplies to last the long winter, and the grasshopper laughs and plays all summer, while teasing the ant for being a stick in the mud. What happens when winter came? Of course the ant survived the winter, while the grasshopper didn’t. The moral of the story? BE PREPARED! A “prepper” is someone who believes that it’s wise to be prepared for an emergency or some sort of disruption of our high-tech world. The vast majority of people don’t have the knowledge or the infrastructure to grow their own food anymore. Almost everyone in society takes safe drinking water for granted. We get food from grocery stores that work on just-in-time delivery, which means that there is only a day or two of inventory in stock at any given time. By being prepared with extra food, the tools to purify your own water, and the means to protect yourself from criminals is common sense. The problem is that common sense is not common anymore. We believe that everyone should be prepared for such an emergency. Yes, you can learn a lot on the internet, but the best way to learn is to meet people in the industry. 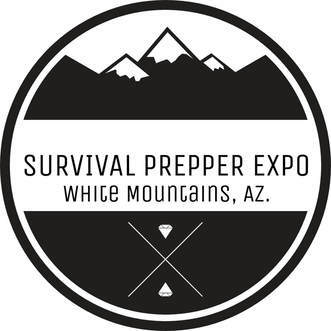 Prepper shows and expos bring the top minds in the industry together. Network and become friends with like-minded people. Get face to face with people and learn, connect and give back! 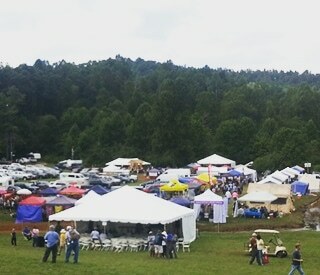 Prepper shows are the epicenter for learning. PrepperShowsUSA.com is the place for you to find these shows.